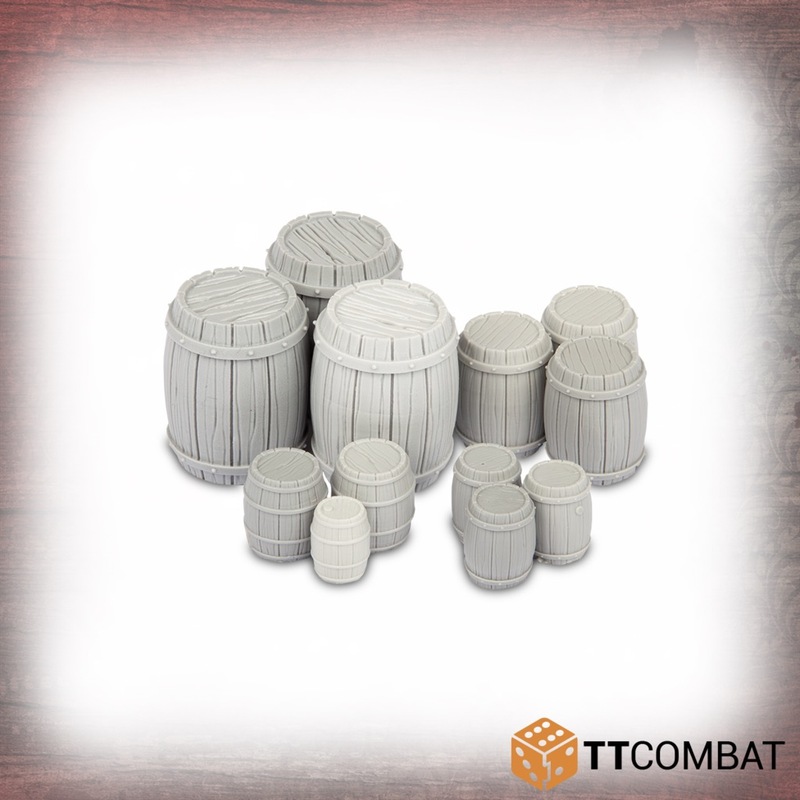 This pack contains 12 resin barrels, perfect for games of Carnevale, or any other 28-32mm scale skirmish game really! The pack comes with 3 large barrels, 3 medium barrels, and 6 small barrels. They offer brilliant cover, or can be split up into several groups of small obstacles, perfect for leaping across! Made from resin, these Venetian Balconies are great scenery to use on the tabletop for Carnevale and other 28-32mm games. Models supplied unpainted and requires assembly. We recommend washing the miniatures thoroughly before assembly and painting.